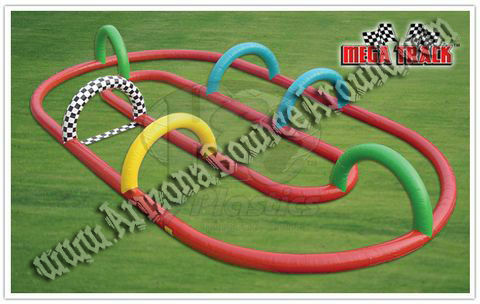 Our 100 foot long 50 foot wide Inflatable Race Track will be a big hit at your racing party. This Giant Inflatable Race Track with Beautiful artwork will be a big hit at any race themed event. 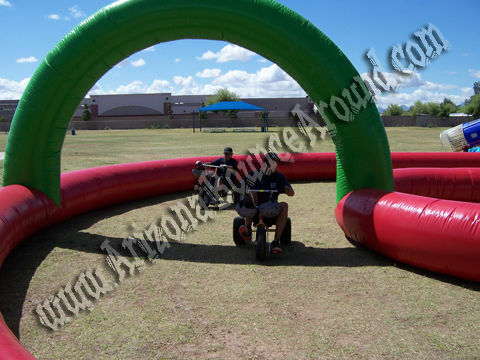 This Giant Inflatable Race Track can be used for Bumper cars, Adult Tricycle rentals, Human Sphere rentals and Races, Pony Hop Races or anything else you can think of. Encourage team spirit and friendly competition as kids or adults race around this huge inflatable race track. 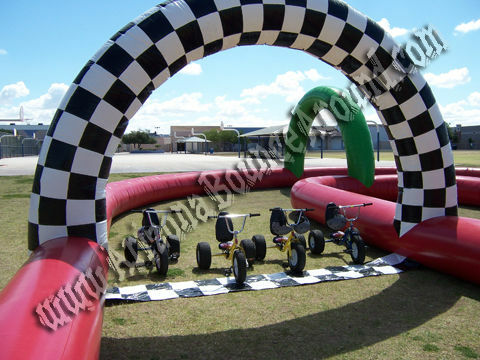 This big inflatable race track rental price includes standard set up. Standard setup is considered a real grass area that we can stake into the ground. Within 80 feet of sufficient electrical supply. Delivery and removal within included delivery area with no restrictions for delivery, set up or pickup. 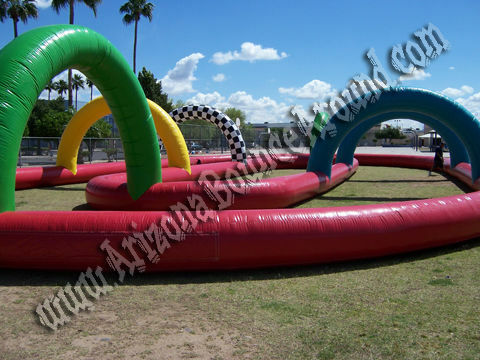 We do not install this inflatable race track on dirt or sand but it can be setup on asphalt, concrete or artificial grass by adding sand bags to your order. 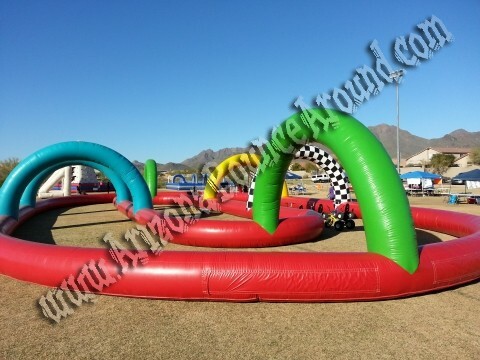 Huge inflatable race track rental Phoenix, AZ.